The following is a list of publications (published or accepted ) authored by members of the RRM+RAN Research Group directed by Prof. Anpalagan. 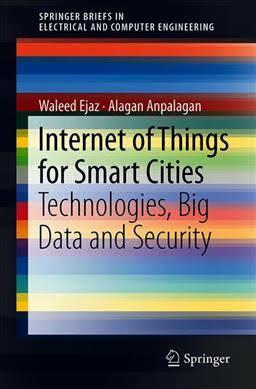 W. Ejaz and A. Anpalagan, Internet of Things for Smart Cities: Technologies, Big Data and Security, Springer,ISBN 978-3-319-95037-2, 90 pages, 2019. 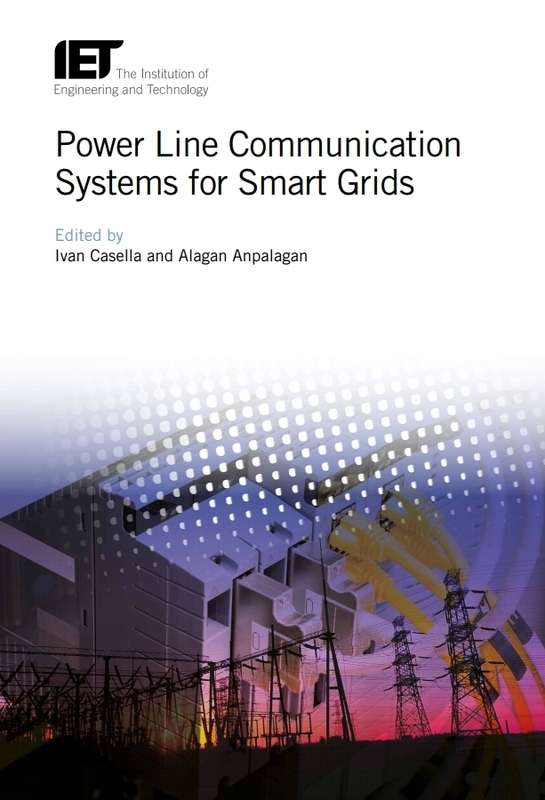 I. Casella and A. Anpalagan (Eds), Modern Narrowband and Broadband PLC Systems for Smart Grid Applications, IET Press, ISBN: 978-1-78561-550-4, 480 pages, 2018. Y. Xu, A. Anpalagan, Game-theoretic Interference Coordination Approaches for Dynamic Spectrum Access, Springer, ISBN: 978-981-10-0024-9, 125 pages, 2016. 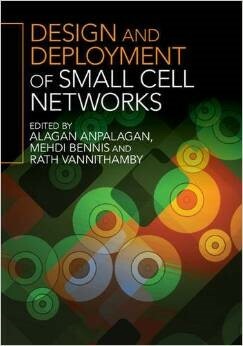 A. Anpalagan, M. Bennis and R. Vannithamby (Eds), Small Cell Networks: Design, Practice and Applications, Cambridge University Press, ISBN: 978-1-10705671-8, 500 pages, 2016. I. Woungang, S. K. Dhurandher, A. Anpalagan and T. Vasilakos (Eds), Routing in Opportunistic Networks, Springer, ISBN: 978-1461435136, 410 pages, 2013. 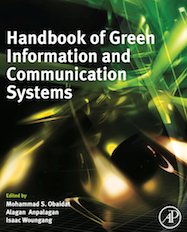 M. Obaidat, A. Anpalagan and I. Woungang (Eds), Handbook on Green Information and Communication Systems, Elsevier, ISBN:978-0-387-09750-3, 816 pages, 2012. A. Anpalagan and et al., Feature Topic on Sustainable Green Networking and Computing in 5G Systems,, IEEE Wireless Communication , 2017. A. Anpalagan and et al., Special Issue on Internet of Things (IoT) in 5G Systems,, IEEE Access , 2017. A. Anpalagan and et al., Special Issue on Evolution and the Revolution of 5G Wireless Communication Systems,, IET Communications: Evolution and Development of 5G Wireless Communication Systems, DOI: 10.1049/iet-com.2016.1141 ,2016. A. Anpalagan and et al., Special Issue on Green Cognitive and Cooperative Communication and Networking, ACM/Springer Mobile Networks & Applications (MONET), 18(4): 521-523, 2013. A. Anpalagan et al., Fairness in Radio Resource Management for Wireless Networks, EURASIP Journal on Wireless Communications and Networking, 207 pages, ISSN: 1687-1472, 2009. A. Anpalagan et al., Radio Resource Management in 3G+ Systems, EURASIP Journal on Wireless Communications and Networking, 163 pages, ISBN: 977-5945-42-9, 2006. V. Saravanan, A. Anpalagan, I. Woungang Big Data in Massive Parallel Processing: A Multi-core Processors Perspective , Big Data Storage and Visualization Techniques, IGI Global , 2018. L. Khalid and A. Anpalagan, Principles and Challenges of Cooperative Spectrum Sensing in Cognitive Radio Networks, Handbook on Cognitive Radio, Springer Press, 2017. Y. Xu, A. Anpalagan et al., Game Theory and Distributed Learning for Opportunistic Spectrum Sharing, CR Networks, CRC Press, 2016. M. Naeem, A. Ahmad, A. Anpalagan, M. Iqbal , M. Obaidat, Optimization Classification and Techniques of WSNs in Smart Grid, Smart Cities and Homes-Key Enabling Technologies, Elsevier, 2016. I. Woungang, G. Carvalho, A. Anpalagan, et al., Energy Efficient Mobile Wireless Network Operations for 4G and Beyond Using HetNets, Advances in Mobile Computing and Communications: 4G and Beyond (5G), CRC Press, 2015. N. Sharma, A. Anpalagan, M. Obaidat, Evolutionary Algorithms for Wireless Network Resource Allocation, Modeling and Simulation of Computer Networks and Systems, Elsevier, Chapter 12, pp 629-652, August 2015. P. Semasinghe, K. Zhu, E. Hossain, A. Anpalagan, Game Theory and Learning Techniques for Self-Organization in Small Cell Networks, Cambridge University Press, ISBN: 978-1-10705671-8, 2014. G. Carvalho, I. Woungang, and A. Anpalagan, Green Joint Radio Resource Management in Wireless Systems: a Queueing Theory Approach, Handbook on Green Information and Communication Systems, Elsevier, ISBN: 978-0-387-09750-3, October 2013. A. Karmorkar and A. Anpalagan, Energy-efficient Radio Resource Management for Green Radio Systems, Handbook on Green Information and Communication Systems, Elsevier, ISBN: 978-0-387-09750- 3, October 2013. A. Karmorkar, A. Anpalagan, E. Hossain, Cross-layer Design of Adaptive Packet Scheduling for Green Radio Communication Networks, Green Radio Communication Networks, Cambridge University Press, ISBN: 978-1107017542, April 2012. A. Alnoman,A. Anpalagan, et al., Computing- Aware Base Station Sleeping Mechanism in H-CRAN-Cloud-Edge Networks, IEEE Transactions on Cloud Computing, 2019. A. Rahmati,A. Anpalagan, et al., OFDM Signal Recovery in Deep Faded Erasure Channel, IEEE Access, 2019. Y. Sun, Y. Xu, A. Anpalagan, et al., An Incentive Mechanism Design View for Hybrid Access in Small Cell Networks: Keeping a Secret is Not Smart, IEEE Systems Journal, 2019. M. Awais, M. Naeem, W. Ejaz, A. Anpalagan, et al., Resource Management in Multicloud IoT Radio Access Network, IEEE Internet of Things Journal, 2019. Y. Zhang, Y. Xu, A. Anpalagan, et al., Context Awareness Group Buying in D2D Networks: A Coalition Formation Game-theoretic Approach, IEEE Transactions on Vehicular Technology, 2019. L. Jia, Y. Xu, A. Anpalagan, et al., Stackelberg Game Approaches for Anti-jamming Defence in Wireless Networks, IEEE Wireless Communications, 2019. Y. Zhang, Y. Xu, A. Anpalagan, et al., Context-aware Group Buying in Ultra-dense Small Cell Networks: Unity is Strength, IEEE Wireless Communications, 2019. L. Jia, Y. Xu A. Anpalagan, et al., A Multi-DomainAnti-Jamming Defense Scheme in HetNets, IEEE Access, 2018. J. Xiao, C. Yang, A. Anpalagan, et al., Joint Interference Management in Ultra-Dense Small Cell Networks: A Multi-Domain Coordination Perspective, IEEE Transactions on Communications, 2018. Y. Sun, Y. Xu, A. Anpalagan, et al., Directed-Hypergraph based Channel Allocation for Ultra-Dense Cloud D2D Communications with Asymmetric Interference, IEEE Transactions on Vehicular Technology, 2018. Y. Xu, A. Anpalagan, et. al., Self-Organizing Relay Selection in UAV Communication Networks: A Matching Game Perspective, IEEE Wireless Communications, 2018. Y. Xu, A. Anpalagan,et al., Anti-jamming Communications Using Spectrum Waterfall: A Deep Reinforcemnet Learning Approach, IEEE Communications Letters, 2018. S. Al-Rubaye, A. Al-Dulaimi, A. Anpalagan Call Admission Control for Non-Standalone 5G Ultra-Dense Networks, IEEE Communications Letters, 2018. Y. Xu, A. Anpalagan,et al., A Game-theoretic Approach for Optimal Distributed Cooperative Hybrid Caching in D2D Networks, IEEE Wireless Communications Letters, 2017. C. Yang A. Anpalagan,et al., DISCO: Interference-Aware Distributed Cooperation with Incentive Mechanism for 5G Heterogeneous Ultra-Dense Networks, IEEE Communications Magazine, 2018. A. Alnoman, A. Anpalagan, G. Carvalho, I. Woungang, Energy Efficiency on Fully Cloudified Mobile Networks: Survey, Challenges, and Open Issues, IEEE Communications Surveys and Tutorials, 2017. M. Ke, Y. Xu, A. Anpalagan, et al., Distributed TOA-based Positioning in Wireless Sensor Networks: A Potential Game Approach, IEEE Wireless Communications Letters, 2017. C. Yang, J. Li, M. Sheng, A. Anpalagan, et al., Mean Field Game-Theoretic Framework for Interference and Energy-Aware Control in 5G Ultra-Dense Networks, IEEE Wireless Communications, 2017. J. Lia, Y. Xu, A. Anpalagan, et al., A Hierarchical Learning Solution for Anti-jamming Stackelberg Game with Discrete Power Strategies, IEEE Wireless Communications Letters, 2017. Y. Xu, J. Wang, A. Anpalagan, et al., Dynamic Spectrum Access in Time-varying Environment: Distributed Learning beyond Expectation Optimization, IEEE Transactions on Communications, 2017. A. Rahmati, K. Raahemifar, A. Anpalagan, et al., Superposition Modulation based Cooperation for Oversampled OFDM Signals, , IEEE Transactions on Communications, 2017. S. Al-Rubaye, E.Kadhum, Q. Ni, A. Anpalagan, Industrial Internet of Things Driven by SDN Platform for Smart Grid Resiliency, IEEE Internet of Things Journal, 2017. M. Naeem, W. Ejaz, L. Karim, A. Anpalagan, et al., Distributed Gateway Selection for Machine-to-Machine Communication in Cognitive 5G Networks, IEEE Network, 2017. A. Ahmed, M. Naeem, W. Ejaz, A. Anpalagan, et al., Multiple Line Outage Detection in Smart Grid: A Probabilistic Bayesian Approach, IEEE Access, 2017. M.Awais, M. Naeem, W. Ejaz, A. Anpalagan, et al., Efficient Joint User Association and Resource Allocation for Cloud Radio Access Networks, IEEE Access, 2017. G. Calvalho, I. Woungang, A. Anpalagan, et al., Intercloud and HetNet for Mobile Cloud Computing in 5G Systems: Design Issues, Challenges, and Optimization, IEEE Network, 2017. C. Yang, L. Li, A. Anpalagan et al, Interference-Aware Energy Efficiency Maximization in 5G Ultra-Dense Networks, IEEE Transactions on Communications, 2017. A. Al-Dulami, A. Anpalagan, Planning of Ultra-dense Wireless Networks Overlaid Cognitive Radio Small Cells, IEEE Network, 2017. Y. Sun, Y. Xu, A. Anpalagan et al., VERACITY: Overlapping Coalition Formation based Double Auction for Heterogeneous Demand and Spectrum Reusability, IEEE JSAC Special Issue on Spectrum Sharing and Aggregation for Future Wireless Networks, 2017. W. Ejaz, M. Naeem, A. Shahid, A. Anpalagan, M. Jo, Efficient Energy Management for Internet of Things in Smart Cities, IEEE Communications Magazine Special Issue on Enabling Mobile and Wireless Technologies for Smart Cities, 2017. M. Azam, M. Naeem, A. Khwaja, A. Anpalagan and et al., Joint Admission Control, Mode Selection and Power Allocation in D2D Communication Systems, IEEE Transactions on Vehicular Technology, 2016. A. Al-Dulaimi, A. Anpalagan, S. Al-Rubaye, Q. Ni, Adaptive Management of Cognitive Radio Networks Employing Femtocells, IEEE Systems Journal, 2016. W. Ejaz, M. Naeem, S. Kandeepan, and A. Anpalagan, Efficient Wireless Power Transfer in Software-defined Wireless Sensor Networks, IEEE Sensors Journal, 2016. W. Ejaz, N. Hasan, G. Shah, H. Kim, and A. Anpalagan, Biologically Inspired Cooperative Spectrum Sensing Scheme for Maritime Cognitive Radio Networks, IEEE Systems Journal, 2016. C. Yang, J. Li, M. Guizani, A. Anpalagan, M. Elkashlan, Advanced Spectrum Sharing in 5G Cognitive Heterogeneous Networks, IEEE Wireless Communication Magazine, 2016. G. Carvalho, I. Woungang, A. Anpalagan and E. Hossain, QoS-aware energy-efficient joint radio resource management in multi-RAT heterogeneous networks, IEEE Transactions on Vehicular Technology, 2016. Y. Xu, A. Anpalagan, et al., Self-organizing Spectrum Access for Small Cell Networks: A Graphical Game Approach, IEEE Transactions on Vehicular Technology, 2015. Y. Xu, Q. Wu, J. Wang, A. Anpalagan, Repeated Game Theoretic Learning Solution for Opportunistic Spectrum Access in Unknown Dynamic Environmentt, IEEE Transactions on Wireless Communications, 11(4), pp. 1380-1391, 2012. S. Senthuran, A. Anpalagan and O. Das, Throughput Analysis of Opportunistic Overlay and Underlay Access Strategies, IEEE Transactions on Wireless Communications, 11(6), pp. 2024-2035, 2012. (Link). M. Ahmad, W. Ejaz, M. Naeem A. Anpalagan, Joint User Selection, Mode Assignment, and Power Allocation in Cognitive Radio Assisted D2D Networks , IET Communications, 2018. L. Ferdouse, W. Ejaz, K. Raahemifar, A. Anpalagan, Interference and Throughput Aware Resource Allocation for Multi-Class D2D in 5G Networks, IET Communications, 2017. H. Hosseini, A. Anpalagan, K. Raahemifar, Wavelet based Cognitive SCMA System for mmWave 5G Communication Networks, IET Communications, 10(2), pp. 207-211, 2016. H. Hosseini, A. Anpalagan, K. Raahemifar, Joint Wavelet based Spectrum Sensing and FBMC Modulation for Cognitive mmWave Small Cell Networks, IET Communications, 2016. R. Vahidnia, J. Mirzaee, and A. Anpalagan, Diversity Combining in Bi-directional Relay Networks with Energy Harvesting Nodes, IET Communications, 10(2), pp. 207-211, 2016. A. Khwaja, M. Naeem, A. Anpalagan, T. Venetsanopoulos, B. Venkatesh, Smart Meter Deployment Optimization and its Analysis for Appliance Load Monitoring, IET Journal of Engineering, DOI: 10.1049/joe.2014.0345, 2016. L. Khalid and A. Anpalagan, Reliability-Based Decision Fusion Scheme for Cooperative Spectrum Sensing, IET Communications, 8(14), pp. 2423-2432, 2014. N. Sharma and A. Anpalagan, Composite Differential Evolution Aided Channel Allocation in OFDMA Systems with Proportional Rate Constraints, IEEE/KICS Journal of Communication Networks, 6(5), pp. 523-533, 2014. S. Senthuran, A. Anpalagan, K. Y. Kong, A. Karmokar, O. Das, An Opportunistic Channel Access Scheme for Interweave Cognitive Radio Systems, IEEE/KICS Journal of Communications and Networks, 16(1), pp. 56-66, 2014. C. Yang, J. Li, A. Anpalagan, Strategic Bargaining in Wireless Networks: Basics, Opportunities and Challenges, IET Communications, 8(18), pp. 3435-3450, 2014. A. Karmokar, S. Senthuran and A. Anpalagan, PHY-Optimal and Cross-Layer Channel Access Policies for Hybrid Overlay-Underlay Cognitive Radio Networks, IET Communications, 8(15), pp. 2666-2675, 2014. N. Sharma and A. Anpalagan, Multi-Objective Resource Allocation in Multiuser OFDM, IET Communications,7(18), pp. 2074-2083, 2013. M. Naeem, A. Karmokar, K. Illanko and A. Anpalagan, M. Jaseemuddin, Decode and Forward Relaying for Energy Efficient Multiuser Cooperative Cognitive Radio Network with Outage Constraints, IET Communications, 8(5), pp. 578-586, 2013. M. Naeem, K. Illanko, A. Karmokar, A. Anpalagan, M. Jaseemuddin, Optimal Power Allocation for Green Cognitive Radio: Fractional Programming Approach, IET Communications, 9(12), pp. 1279-1286, 2013. T. T. Duy, A. Anpalagan, H. Y. Kong, Multi-hop cooperative transmission using Fountain codes over Rayleigh fading channels, IEEE/KICS Journal of Communication Networks, 14(3), pp. 267-272, 2012. M. Naeem, W. Ejaz and A. Anpalagan, Devices to Devices (Ds2Ds) Communication: Towards Energy Efficience IoT, IEEE Globecom, 2018. M. Kim and A. Anpalagan, Traffic Classification from Raw Packet Header using Convolutional Neural Network, IEEE International Conference on Knowledge Innovation and Invention, 2018. L. Mohammed, M. Jaseemuddin and A. Anpalagan, Fuzzy Soft-Set Based Approach for Femto-Caching in Wireless Networks, IEEE International Conference on High Performance Computing and Communications, 2018. A. Alnoman and A. Anpalagan, A Prioritized Service Provision Scheme for Ultra-Low Latency in Fog Computing, IEEE Biennial Sympoisum on Communications, 2018. A. Alnoman and A. Anpalagan, Delay-Aware Base Station Sleeping Mechanism for Cloud-Fog Computing: A Probability Theory Approach, IEEE Biennial Sympoisum on Communications, 2018. Y. Zhang, Y. Xu, Q. Wu, A. Anpalagan, Near Optimal Distributed Cooperative Spectrum Sensing and Access: A Benefit-and-Compensation Approach, IEEE Vehicular Technology Conference (VTC), 2017. L. Ferdouse, O. Das, A. Anpalagan, Auction based Distributed Resource Allocation for Delay Aware OFDM based Cloud-RAN System, IEEE Globecom, 2017. S. Yu, W. Ejaz, L. Guan, A. Anpalagan, Resource Allocation for Energy Harvesting Assisted D2D Communications Underlaying OFDMA Cellular Networks, IEEE Vehicular Technology Conference (VTC), 2017. L. Ferdouse, A. Alnoman, A. Bulzacki, A. Anpalagan , Energy Efficient Multiple Association in CoMP based 5G Cloud-RAN Systems, IEEE Vehicular Technology Conference (VTC), 2017. A. Alnoman, L. Ferdouse, A. Anpalagan, Fuzzy-based Joint User Association and Resource Allocation in HetNets, IEEE Vehicular Technology Conference (VTC), 2017. D. Liu, Y. Xu, A. Anpalagan et. al., Distributed Relay Selection for Heterogeneous UAV Communication Networks Using A Many-to-Many Matching Game Without Subsitutability , IEEE ICCC, 2017. L. Ferdouse, W. Ejaz, A. Anpalagan, Joint workload scheduling and BBU allocation in cloud-RAN for 5G networks, ACM SAC, 2017. G. Carvalho, I. Woungang, A. Anpalagan, A Semi-Markov Decision Model-based Brokering Mechanism for Mobile Cloud Market, IEEE International Conference on Communications (ICC), 2017. Y. Xu, A. Anpalagan, et al., Opportunistic Spectrum Access with Statistical QoS Provisioning: An Effective-capacity based Multi-agent Learning Approach, IEEE International Conference on Communications (ICC), 2017. R. Siddavaatam, I. Woungang, G. Carvalho, A. Anpalagan, Efficient Ubiquitous Big Data Storage Strategy for Mobile Cloud Computing over HetNet, IEEE Globecom, 2016. L. Ferdouse, M. Li, L. Guan, A. Anpalagan, Bayesian Workload Scheduling in Multimedia Cloud Networks, IEEE International Workshop on Computer Aided Modeling and Design of Communication Links and Networks, 2016. M. Saeed, W. Ejaz, A. Anpalagan and et al., Variable Step-Size Strategy for Distributed Parameter Estimation of Compressible Systems in WSNs, IEEE International Workshop on Computer Aided Modelling and Design of Communication Links and Networks, 2016. R. Siddavaatam, I. Woungang, G. Carvalho, A. Anpalagan, An Efficient Method for Mobile Big Data Transfer Over HetNet in Emerging 5G System, IEEE International Workshop on Computer Aided Modelling and Design of Communication Links and Networks, 2016. F. Ahmed, M. Naeem, A. Anpalagan, Renewable Energy Assisted Base Station Collaboration as Micro Grid , IEEE Electrical Power and Energy Conference, 2016. N. Hasan, W. Ejaz, A. Anpalagan et al., QoS-aware channel assignment for IoT-enabled smart building in 5G systems,IEEE International Conference on Ubiquitous and Future Networks (ICUFN), pp. 924-928, 2016. L. Ferdouse and A. Anpalagan, Resource Allocation and Massive Access Control Method using Relay Assisted Machine-Type Communication in LTE Networks, IEEE Vehicular Technology Conference (VTC), 2016. B. Mushtaq, M. Naeem, A. Anpalagan and W. Ejaz, Utility based Resource Management in D2D Networks using Mesh Adaptive Direct Search Method, IEEE Vehicular Technology Conference (VTC), 2016. M. Basharat, W. Ejaz and A. Anpalagan, Multi-band Cooperative Spectrum Sensing in RF Powered Cognitive Radio Networks, IEEE Vehicular Technology Conference (VTC), 2016. L. Khalid and A. Anpalagan, Optimization of Cooperative Spectrum Sensing in Energy Harvesting Cognitive Radio Networks, IEEE International Conference on Communications (ICC), 2016. F. Qayyum, A. Anpalagan and et al., Appliance Scheduling Optimization in Smart Home Networks Comprising of Smart Appliances and a Photovoltaic Panel, IEEE Electrical Power and Energy Conference (EPEC) , October 2015. Y. Xu, A. Anpalagan et al., Network throughput maximization in CRAHNs using local cooperative game, IEEE Globecom Conference, December 2011. H. Rasouli and A. Anpalagan, On the SNR vs. BER based optimal power allocation for a wireless relay system, IEEE IWCMC, July 2011. H. Rasouli and A. Anpalagan, An opportunistic subcarrier allocation algorithm based on cooperative coefficient for OFDM relaying systems, IEEE IWCMC, July 2011. K. Illanko, A. Anpalagan, D. Androutsos, Stackelberg game on the boundary of coexistence, IEEE International Conference on Communications, June 2011. K. Illanko, A. Anpalagan, D. Androutsos, Convex structure of the sum rate on the boundary of the feasible set for coexisting radios, IEEE International Conference on Communications, June 2011. Y. Xu, A. Anpalagan et al., Game-theoretic channel selection for interference mitigation in CRNs with block-fading channels, IEEE Globecom Conference, December 2011. A. Behzadan, A. Anpalagan, B. Ma, Prolonging network lifetime via nodal energy balancing in heterogeneous wireless sensor network, IEEE International Conference on Communications, June 2011. A. Behzadan and A. Anpalagan, Utility driven balanced communication algorithm for data routing in wireless sensor networks, IEEE Biennial Symposium on Communications, May 2010. A. Behzadan and A. Anpalagan, Multiple query optimization support for sensor networks, IEEE Biennial Symposium on Communication, May 2010. P. He, L. Zhao, and A. Anpalagan, Improved iterative water-filling with rapid convergence and parallel computation for Gaussian multiple access channels, IEEE Vehicular Technology Conference, May 2010. K. Illanko, A. Anpalagan, D. Androutsos, Dual methods for power allocation for radios coexisting in unlicensed spectra, IEEE Globecom Conference, December 2010. S. Abdulhadi, M. Jaseemuddin and A. Anpalagan, Joint routing and power allocation in DAF multi-hop cooperative ad hoc networks, IEEE WiMOB, October 2010. K. Illanko, A. Anpalagan and D. Androutsos, An optimal and fair distributed algorithm for power allocation for radios coexisting in unlicensed spectra, IEEE International Conference on Communications, June 2010. H. Rasouli and A. Anpalagan, SNR- and BER-based power allocation in wireless relay networks with MRC at destination, IEEE Biennial Symposium on Communications, May 2010. L. Khalid and A. Anpalagan, Effect of sensing errors on wideband cognitive OFDM radio networks, IEEE Biennial Symposium on Communications, May 2010. S. Senthuran, A. Anpalagan and O. Das, A predictive opportunistic access scheme for cognitive radios, IEEE Vehicular Technology Conference, September 2009. K. Illanko, K. Raahemifar, A. Anpalagan and D. Androutsos, Sub-channel and power allocation for multiuser OFDM with rate constraints using genetic algorithm, IEEE PacRim Conference on Communications, Computers and Signal Processing, July 2009. H. Rasouli and A. Anpalagan, An asymptotically fair subcarrier allocation algorithm in OFDM systems, IEEE Vehicular Technology Conference, April 2009. S. Senthuran, A. Anpalagan and O. Das, Cooperative power allocation schemes and BER performance in decode-and-forward OFCDM based relay networks, IEEE Vehicular Technology Conference, September 2009. K. Illanko, A. Anpalagan and D. Androutsos, Adaptive demodulation using Raptor codes: analytical results and extension to fading channels, Canadian Workshop on Information Theory (CWIT), Ottawa, May 2009. S. Senthuran, A. Anpalagan and O. Das, Effect of cooperative CSI in adaptive subcarrier allocation for OFCDM based decode-and-forward relay systems, IEEE Vehicular Technology Conference, September 2009. K. Illanko and A. Anpalagan, Cooperative communication using bit-selective adaptive demodulation and Raptor codes: the Gaussian relay channel case, IEEE Vehicular Technology Conference, April 2009. M. Bennis, M. Debbah and A. Anpalagan, A hierarchical game approach to inter-operator spectrum sharing, IEEE Globecom Conference, November 2009. L. Khalid and A. Anpalagan, Cooperative spectrum sensing for wideband cognitive OFDM radio networks, IEEE Vehicular Technology Conference, September 2009. H. Rasouli and A. Anpalagan, On-channel distributed space-time block coding in cooperative wireless relay networks, IEEE Vehicular Technology Conference, October 2008. H. Rasouli, S. Sadr and A. Anpalagan, A fair subcarrier allocation algorithm for cooperative wireless networks with grouped users, IEEE Globecom Conference, November 2008. L. Khalid and A. Anpalagan, CFO estimation and correction in VSF-OFCDM systems, IEEE Globecom Conference, November 2008. L. Khalid and A. Anpalagan, Effect of carrier frequency offset on the BER performance of variable spreading factor OFCDM systems, IEEE International Conference on Communications, June 2008. S. Senthuran, A. Anpalagan and O. Das, Performance analysis of time spreaded quasi-orthogonal space frequency coded OFDM systems, IEEE Biennial Symposium on Communications, June 2008. S. Sadr, A. Anpalagan and K. Raahimifar, A novel subcarrier allocation algorithm for multiuser OFDM system with fairness: user’s perspective, IEEE Vehicular Technology Conference, October 2007. R. Zarifeh, N. Aliner, S. Krishnan and A. Anpalagan, Interference detection in spread spectrum communication using polynomial phase transform, IEEE International Conference on Communications, June 2007. L. Noor, S. Kandeepan and A. Anpalagan, SNR and BER analysis of downlink OFDM systems in noisy Doppler fading channels, IEEE International Conference on Information Sciences, Signal Processing and Applications, February 2007. R. Caldwell and A. Anpalagan, Performance analysis of subcarrier allocation in two dimensionally spread OFCDM systems, IEEE Vehicular Technology Conference, October 2006. L. Khalid and A. Anpalagan, Adaptive modulation with adaptive subcarrier allocation in OFCDM-based 4G wireless systems, IEEE Vehicular Technology Conference, October 2006. A. Morisson, A. Anpalagan and S. Krishnan, Mitigation of GPS non-line-of-sight signal path errors using temporal constellation windowing, IEEE/ION Symposium on Position Location and Navigation, January 2006. L. Noor, K. Sithamparanathan and A. Anpalagan, Subcarrier allocation in OFDM systems with imperfect carrier synchronization in deep fading Doppler channels, IEEE Vehicular Technology Conference, October 2006. J. Y. Sun, L. Zhao and A. Anpalagan, A unified framework for adaptively scheduling hybrid voice/data traffic in 3G cellular CDMA downlinks, IEEE Wireless Networking, Comm. and Mobile Computing, pp. 751-756, June 2005. J. Y. Sun, L. Zhao and A. Anpalagan, Soft handoff prioritizing algorithm for downlink call admission control of next-generation cellular CDMA networks, IEEE International Symposium on Personal, Indoor and Mobile Radio Communications (PIMRC), pp. 1764-1768, Sept. 2005. A. Anpalagan and M. Subramaniam, On the integrated transmit power control and base station assignment in reverse links of cellular CDMA networks, IEEE International Symposium on Spread Spectrum Systems, Techniques and Applications, pp. 227-231, September 2004. K. Hazaveh and A. Anpalagan, On the proof toward optimality of combined rate, power and cell control in cellular CDMA systems, IEEE International Symposium on Spread Spectrum Systems, Techniques and Applications, pp. 909-913, September 2004. N. Sahi and A. Anpalagan, Performance of 2-bit power control algorithm in CDMA networks under Rayleigh fading environment: a comparative simulation study, IEEE Vehicular Technology Conference, pp. 500-504, April 2003. A. Anpalagan, Interference power variation in integrated services CDMA networks: a single cell analysis, IEEE Vehicular Technology, Conference, pp. 343-347, April 2003. A. Anpalagan, Dynamics of slow receive power control in cellular CDMA networks, IEEE International Symposium on Wireless Personal Multimedia Communication, pp. 921-925, October 2002. A. Anpalagan and E. S. Sousa, A tagging-based throughput maximization scheme in CDMA/TDM systems for wireless data applications, IEEE Personal Indoor Mobile Radio Communications, pp. E152-E156, September 2001. A. Anpalagan and E.S. Sousa, Adaptive cell sectoring using fixed overlapping sectors in CDMA networks, IEEE International Conference on Communications, pp. 1760-1764, June 2001. A. Anpalagan and E.S. Sousa, Reverse link performance analysis of a cellular CDMA network with fixed overlapping sectors in non-uniform angular traffic, IEEE International Conference on Communications, pp. 806-810, June 2001. A. Anpalagan and E.S. Sousa, A combined rate/power/cell control scheme for delay insensitive applications in CDMA systems, IEEE Globecom Conference, pp. 256-260, November 2000. A. Anpalagan and E.S. Sousa, On the receive power allocation in a cellular multimedia CDMA system with fixed base station assignment, IEEE Vehicular Technology Conference, pp. 1338-1342, June 2000. J. S.Selvarathinam and A. Anpalagan, Energy Harvesting From the Human Body for Biomedical Applications, IEEE Potentials, 35(6), pp. 6-12, 2016. A. Anpalagan, et al,,Guest Editorial, IET Communication, 10(5), pp. 1855 – 1857, 2016. B. Johny and A. Anpalagan, Body Area Sensor Networks: Requirements, Operations and Challenges, IEEE Potentials,, 33(2), pp. 21-25, 2014. A. Karmokar and A. Anpalagan, Green Computing and Communication Techniques for Future Wireless Systems and Networks, IEEE Potentials,32(4), pp. 38-42, 2013. M. Ahmed, A. Anpalagan, K-C. Chen, Z. Han and E. Hossain, Guest Editorial, EURASIP JWCN: Special Issue on Fairness in Radio Resource Management for Wireless Networks, May 2009. B. Stimpson and A. Anpalagan, On-line wireless power-line sensor system for anomally classification and control, IEEE Canadian Review, pp. 7-10, January 2009. R. Joseph and A. Anpalagan, Trends and challenges in handheld wireless application development, IEEE Canadian Review, pp 10-13, October 2007. A. Hamlyn and A. Anpalagan, SIMULINK-based wireless system design and performance analysis, IEEE Canadian Review, pp 15-20, October 2007. A. Anpalagan, S. Aissa, W. Zhuang and R. Vannithamby, Guest Editorial, EURASIP JWCN: Special Issue on Radio Resource Management for 3G+ Wireless Systems, 2006, Article ID 70210., 3 pages, (special issue). L. Noor and A. Anpalagan, Direct conversion receiver for radio communication systems, IEEE Potentials, pp. 32-35, Dec. 05. R. Caldwell and A. Anpalagan, Meeting mobile’s demands with multicarrier systems, IEEE Potentials, pp. 27-31, Dec. 05. A. Anpalagan, Mobility management in wireless networks: data replication strategies and applications, IEEE Canadian Review, pp. 26, Winter 2005. L. Noor and A. Anpalagan, Dynamic channel allocation in TDD-CDMA, IEEE Canadian Review, pp. 9-12, Summer 2004. Ryan Caldwell and A. Anpalagan, HSDPA: an overview, IEEE Canadian Review, pp. 22-24, Spring 2004. M. Naeem, S.Khwaja, A. Anpalagan, Method for Non-convex Multi-band Cooperative Sensing in Cognitive Radio, provisional patent (US 62/204,017) filed on August 26, 2015. S. Khwaja, M. Naeem, A. Anpalagan, “Smart Meter Deployment Optimization Scheme for Nonintrusive Load Monitoring, provisional patent (US 61/938,050) filed on February 10, 2014. M. Aram, S. Krishnan and A. Anpalagan, Wavelet Filtering for Improved and Robust Location Estimation of Vehicles under Near Stationary Conditions, Invention Disclosure filed with Office of Research Services (ORS), Ryerson University, filed on December 20, 2006. A. Anpalagan, A. Chaudry and J. Gazzaola, 1xRTT Voice and Data Capacity Modeling, Analysis and Deployment Strategies”, Confidential and Restricted Internal Technical Report, Wireless Network Technology Development, Bell Mobility, Toronto, June, 2001. A. Anpalagan, C. Amirault and S. Morrison, VP-based ATM Networks: Technical Requirement and Cost Analysis, White Paper , BISDN Network Planning, Nortel Technology, Ottawa, January 1998. A. Chandan, A. Anpalagan and S. Archambault, “QoS Impact on IP Network Resources”, Internal Report, Webtone Network Planning, Nortel Technology, Ottawa, August 1998. A. Anpalagan, T. Vu, G. Wong and R. Zhang, Evaluation of and User Requirements for InterWatch 95000, Project Report: 9500023S07-8, GN Navtel Ltd., Toronto September 1997. Copyright Notice: Where published by the IEEE or other select Publishers, personal use of this material is permitted. However, permission to reprint/republish this material for advertising or promotional purposes or for creating new collective works for resale or redistribution to servers or lists, or to reuse any copyrighted component of this work in other works must be obtained from the IEEE/Publishers.